The Suwon based company is now claiming that Apple stole the design idea from the famous 1969 Stanley Kubrick film "2001:. A Space Odyssey" based on a novel of similar name by Sir Arthur C. Clarke. Apple might be an inch closer in banning Samsung Galaxy Tabs in Australia, but the Cuopertino-based electronics giants may have to disclose iPad 1 and iPad 2 sales in the UK and the U.S. to improve their chances of Samsung restricting the sale of the Galaxy 10.1 Tablet PC in Australia, reports Bloomberg. Samsung has since agreed to postpone the launch of Galaxy 10.1 due in late September at the request of Apple, let the injunction is heard. In fact, the Suwon based company is now claiming that Apple stole the design idea from the famous 1969 Stanley Kubrick film "2001:. A Space Odyssey" based on a novel of similar name by Sir Arthur C. Clarke. Apple claimed that Samsung’s sales figure can hurt the iPads’, but according to Federal Court of Justice Annabelle Bennett, Federal Court – this could be of no use if the sales of the iPad series cannot be shown as that would indicated whether the most popular tablet in the world has a similar probability down under as well. "Unless Apple shows that shows the impact in the U.S. or the UK, I cannot draw any positive hypothesis," said Bennett to Bloomberg. Bennett said she did not force Apple to release sales figures, and also stopped Samsung from showing there’s in an appeal by the Korean that they could prove by the Galaxy Tab sales distribution that the Tab has had little impact on the iPad sales. "People want an Android product, so they will buy a product of Android," said Neil Murray, the lawyer for Samsung, the judge. "This is not affecting sales of Apple." This dispute in Australia is part of a larger battle between Samsung and Apple that originated in Europe where a German court banned the sale of the Galaxy Tab 10.1 initially in the whole of EU only to reduce the restriction to Germany later. 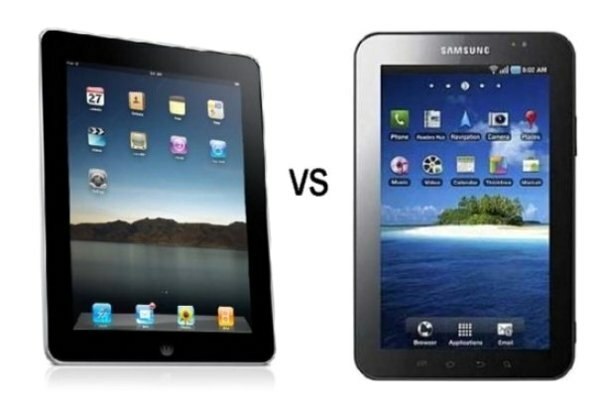 Apple claims that the Galaxy copies designs of iPad. A hearing on the request of Apple for the mandate is expected later this month in Sydney, the Federal Court. Apple is seeking an injunction on sales of Samsung in Australia until the patent lawsuit is resolved, somewhat similar to the one they got in Germany. The "remarkable similarity of Samsung products" in terms of "functionality and appearance," is steering the sales away from Apple, said Steven Burley, the Cupertino, California-based lawyer for the company. However, the allegedly claimed image shown during the lawsuit in Germany was later proved to be a fake one, with reports of altering the size of the Galaxy Tab by editing the photo to look it similar to that of the iPad.